Unsettling the Word book launch. 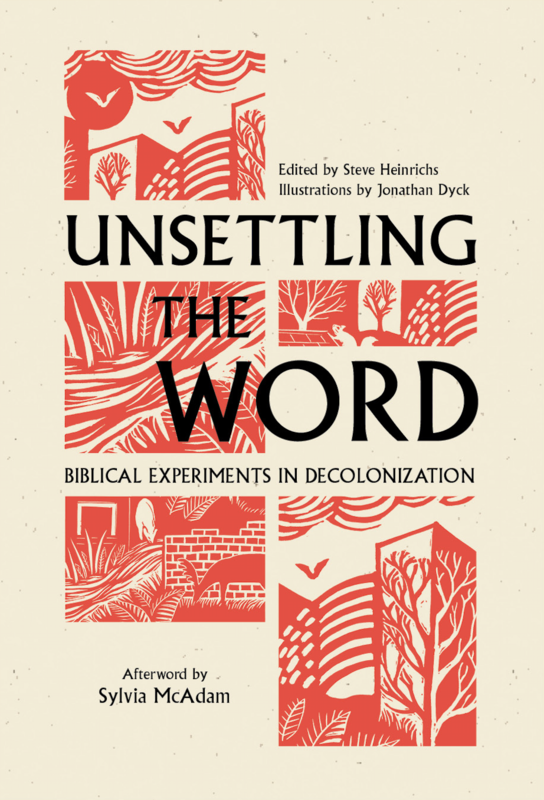 Unsettling the Word is intended to nurture courageous conversations with the Bible, our current settler colonial contexts, and the Church’s call to costly peacemaking. In this video, Steve Heinrichs and Jonathan Dyck give us the "story behind the story" - of what motivated them to edit and illustrate this new title from Mennonite Church Canada Indigenous-Settler Relations' office. Vivian Ketchum, Anita Keith, and Leah Gazan, 3 of the 66 different contributors, each read their own selections from the volume and respond to several panel questions on decolonization and biblical interpretation. Hosted by was Sheila Klassen-Wiebe and Arlyn Friesen Epp on May 24, 2018.